ONELAN digital signage is a complete solution. Offering high performance solid-state devices, powerful feature-rich software and networking options for turnkey content management and delivery. 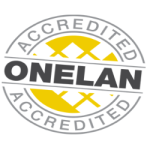 Thousands of ONELAN digital media players are installed around the globe. ONELAN’s wide range of rack mount and small form factor HD digital signage players offers a player to match your budget and requirements. Loaded with “NTB” Linux player software tailored specifically to each hardware platform these players deliver high quality multimedia playback. Player options available depending on model include: DVB-T TV cards, HD capture, MPEG UDP IP Streaming, Remote control, touch and Data integration. NTBs come pre-installed and undergo rigorous testing in the factory prior to shipment so you can get up and running faster and with fewer issues. Subscriber players have an advanced video engine with superior scaling technology that delivers pristine HD video playback up to Blu-ray specification quality. With full control of speed, transparency and direction scrolling is rendered with professional broadcast quality. With no limitations on the number or positioning of zones and transparency to support layering of zones you are free to create professional looking designs. Mix video, RSS and social feeds, Flash, HTML5, live TV and IPTV streams to achieve fresh eye catching content. The subscriber player provides a variety of methods to get important data on screen automatically. Whether it is display of web pages, dynamic Flash and HTML or system integration using the ONELAN Data collection engine we can get your data on screen to make a difference. With proven reliability for 24/7/365 applications and requiring minimal IT maintenance there are also no recurring fees for ONELAN subscriber players. Software maintenance and upgrades are free of charge making the subscriber player a One off Cost. Trigger playback using GPIO, USB or XML commands over the network from virtually any type of interactive device: motion sensors, touch, IR remote controls and building control automation solutions. Likewise external devices can be put under playlist control. Select from DVB-T tuner, HDCP compliant HD capture and MPEg UDP IP Streaming options to get live HD video and TV on screen. Live content is a key feature for many hospitality and corporate foyer applications. With full web content playback support including Flash, embedded video and HTML5 make full use of your existing website and intranets. Use the web page cropping and zoom tools to select just the content you need and adapt it for use on screen. Why do schools and universities need digital signage aka School TV? The simple answer is that we are all bombarded with information and schools and universities need to compete. Just as the blackboard had to give way to the interactive whiteboard as technology developed, now the noticeboard must be replaced by more contemporary technologies if schools are to be seen as stimulating modern places that are fun and exciting to work and learn in. To compete with iPods, Twitter, text messages and the barrage of other messages hitting teenagers every minute, schools and universities need to use vibrant technology to reach students. This is where digital signage comes in. A digital signage solution for education replaces static text and pictures with an eye-catching display that can incorporate moving images, video, TV, scrolling text and highlighted messages to create an impact. This effectively replaces the noticeboard and effectively creates ‘school or college TV’ Digital Signage can be used in education, from Primary Schools through to Higher Education establishments. Through the use of screens placed in reception areas, staff rooms, canteens and boarding houses Digital Signage is a proving an effective way to communicate to pupils, students, staff and guests. The majority of universities and higher education establishments in the UK now either have or are planning to install Digital Signage. • Ensuring staff and students are up-to-date with latest information: e.g. schools can spend a lot of time printing class timetables, only to encounter confusion when classes printed in timetables are cancelled or rescheduled. While e-mail can be helpful, dynamic message boards, updated in real-time, help reach students who aren’t near a computer. • Fully customised branding to reflect the school’s image, particularly across a large site, enabling a school to stand out from other schools in an increasingly competitive environment where differentiation is critical. Accurate and consistent presentation of graphical and editorial elements (official logos and colour scheme, for example) to both internal and external audiences can be easily managed using a digital signage system. • Emergency Overrides: the speed with which a digital signage network can disseminate information throughout a large school building can be literally a lifesaver should a serious emergency arise. Fire evacuations are just one example, when instructions must be conveyed quickly, clearly and with authority. • Community Development: Traditional bulletin boards and printed posters cannot keep up. With a digital signage system, information can be communicated instantly across an entire site, replacing existing noticeboards with dynamic, eyecatching screens. Flat screens in a public environment are still a novelty, particularly in an educational environment, and by their use alone audience attention is captured. A digital signage network instantly informs students of speakers, sporting events, student achievements, class timetables, photos of school plays and out of school activities.